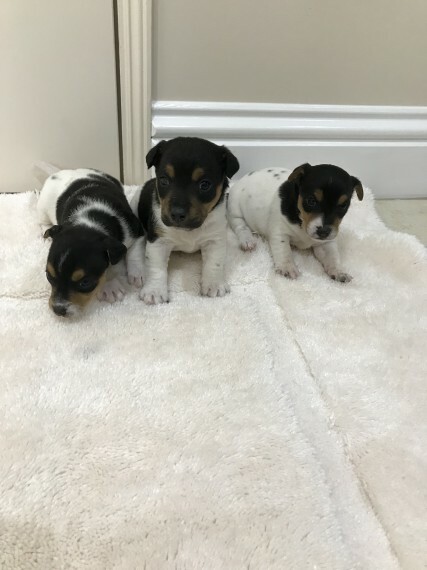 Adorable litter of small type Jack Russel puppies boys and girls available. Puppies will be fully vet checked and wormed to date before leaving for there new homes mum is our family pet and dad is a friends stud dog. Pups have been raised with kids and are well socialised good homes a must first vaccination and microchips are done ready now.